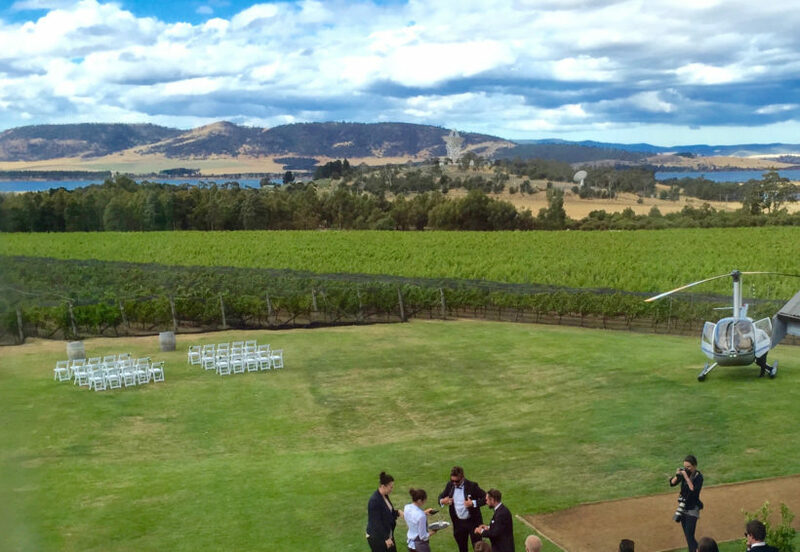 Close to Hobart is a wine trail that will reward the accidental tourist in a big way. In line with its lush countryside and clean air, Tasmania is seeing some exciting growth in the wine industry. And a great place to start is the Coal River Valley wine trail that begins a short, pretty drive from the CBD. How cool is that? Speaking of cool, and before you leave town, a really good place to find some rare vintages, do some shopping and speak to perhaps a sommelier behind the counter, is Cool Wine right in the heart of the CBD. The owner, Tim Goddard, has this altar to the oenophile packed to the ceiling with wines (and beers) from everywhere, carefully curated and his knowledge of the local scene is prodigious. So if you don’t have time for a little sortie out into the country to try at the cellar doors – this shop is the next best thing. They ship nationally and internationally as well, so don’t despair if the wine trail is out of the question for now – Cool Wine will look after you. And if you do have time, head east. Past Cambridge, take the turn off to Richmond, and you’ll be at Frogmore within 20 minutes of leaving town. It’s hard to believe that you can be in the heart of wine country just a short drive from a CBD, but that’s Tasmania. It’s so user friendly it’s ridiculous. The huge purpose made building is a gorgeous tribute to Tasmanian woods, and with plenty of glass and clever design, there’s pretty much nowhere to sit where you don’t have a spectacular view of the vines. Try the Iced Riesling, which is fantastic value and a wonderful take on the German Eiswines. And the Gewurtztraminer, 2011 is really hitting its straps. Now, a secret insider’s tip here: when you walk in the big front door, turn left and go up a flight of steps to a mezzanine floor. There, hidden from the general public, is one of the most beautiful tributes to wine you’ll ever see. Tom Samek is a local artist, and installed in the floor is an exquisite coloured jigsaw of figures and scenes with a poem burnt into the wood beside. Follow the story of Tasmanian wine along the left side, up to a sensory smelling set of boxes at one end, then turn right and finish the story. It’s worth the time and effort – this is a unique experience you’ll not find anywhere else in the world. There’s a flotilla of ducks, a pet corgi, Polly, who’ll usher you in then roll over for a pat, and a wonderful children’s play area with picnic tables in the sun. But the tasting bar will beckon, Darren the winemaker is usually on hand to deliver endless knowledge and passion for wine, and the gift shop has some wonderfully curated quirky gifts. All to do with wine of course. They do a seriously good riesling, bubbles, called ‘bubbleduck’, and a smooth pinot noir. Tasmania is really hitting some heights with its cool climate pinots, and while you’re there, try the rosé. 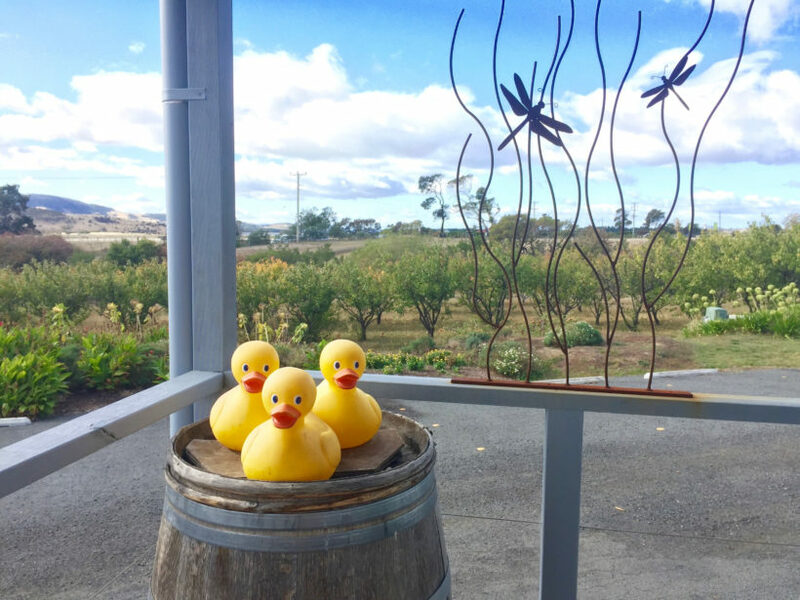 A word here – Puddleduck do not sell wholesale anywhere, so the cellar door is it. Make the most of it while you’re there. Third generation wine business, Pooley’s are a big operation with a big heart. 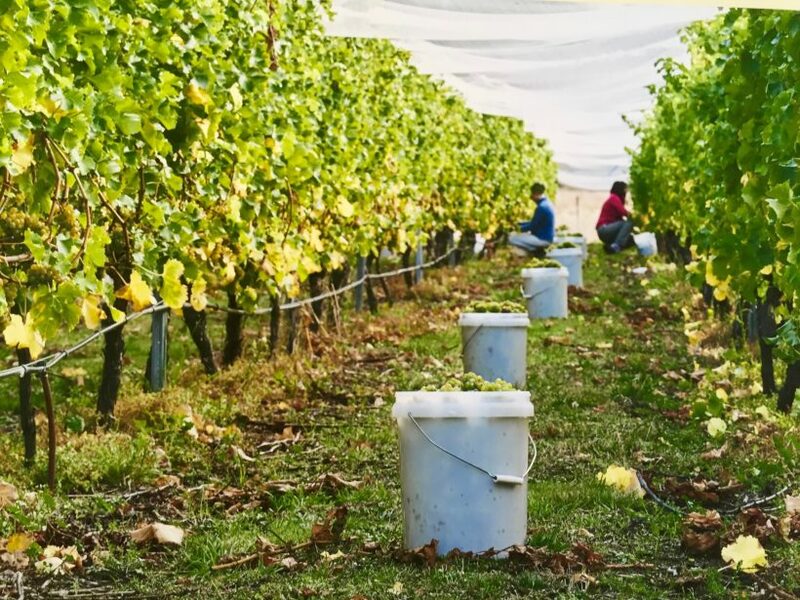 Focussed on sustainability and the environment, they also partner with a lot of smaller growers and wine makers to help them produce award winning wines without having to start from scratch. It’s a terrific idea. Pooley’s specialise in chardonnay, riesling and pinot noir, and do all three well. 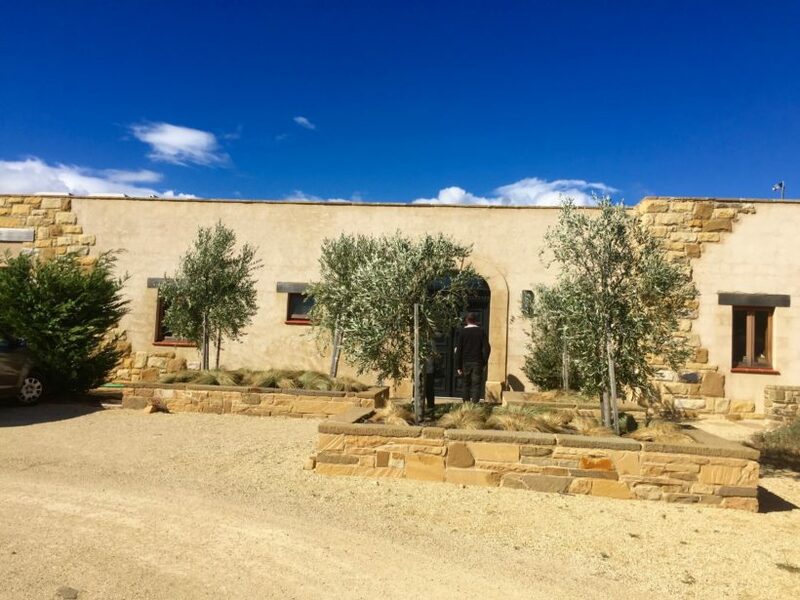 They win awards often not just for their wines, but for their cellar door and their wine tasting experiences. Why? Well might you ask. You have to see it. 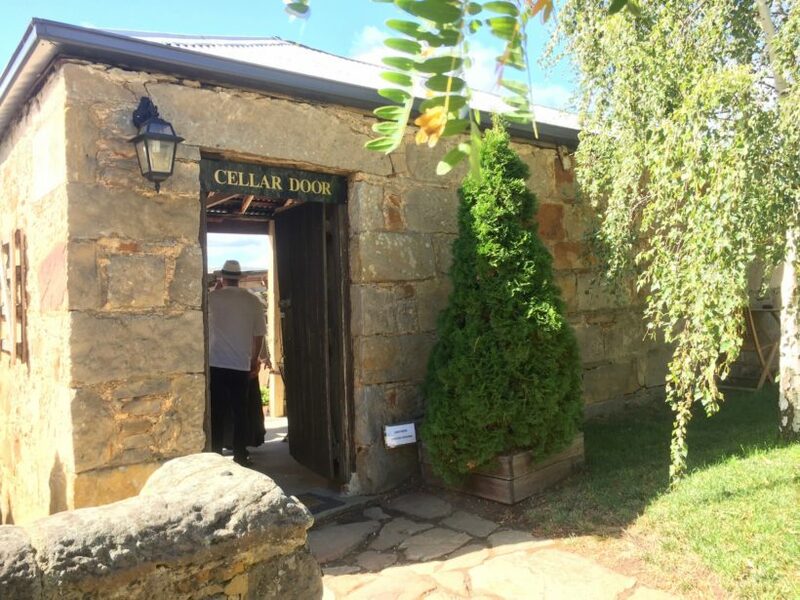 A beautiful courtyard sits next to an historic convict built sandstone cottage, where pizzas are served straight from a wood-fired oven under a shed, and inside, the tasting hall is set up where’ll you get the full wine history, personally delivered by a winemaker or apprentice. The passion seeps from the walls. Peter and Ruth Althaus of Domaine A set out to produce exceptional, cool climate wines and boy did they succeed. They personally select the fruit to be harvested, nurture the wines carefully until they get the big flavours and balance they want. The straight cabernet is world famous and made the top 100 list under “exceptional” in Langton’s classification of Australian wine. The merlot is full of fruit, as it should be, and in this oldest vineyard of the Coal River Valley, tradition is king. Long live the king. Not far from Domain A, in the area called Campania, lies a small vineyard, named after the shape of the block. Which from an arial view resembles a wobbly boot. Paul and Linda Williams and Maeve, the golden retriever spend happy hours in the vines, tending a vineyard that is as natural and environmentally friendly as they can get it. Their Sav Blanc and Pinot Noir are perfectly balanced with loads of fresh fruit flavours. No irrigation (Domaine A boast that as well), they wait for rain and the vines are deep rooted. If birds nest in the lower branches under the nets, Paul waits till the fledglings fly the coop and then picks. He’ll tell you, “don’t try to make wine if you’re a control freak!” They do tastings and courses as well, including trying your hand at being a vigneron for a day. And they host weekend picnics where pets are welcome and a friend takes dog yoga classes, or ‘doga’. Well, this is Tasmania. Expect the unexpected. And if you’re back in town and yearn for that immersive wine experience, Hobart’s got a special place hidden away, up a small arcade in Salamanca. James Broinowski, a wine maker himself, and his partner Michael Flowers have a tiny shop with a hand picked range of superlative Tasmanian wines, some top shelf rare spirits, all – yes all – at cellar door prices. 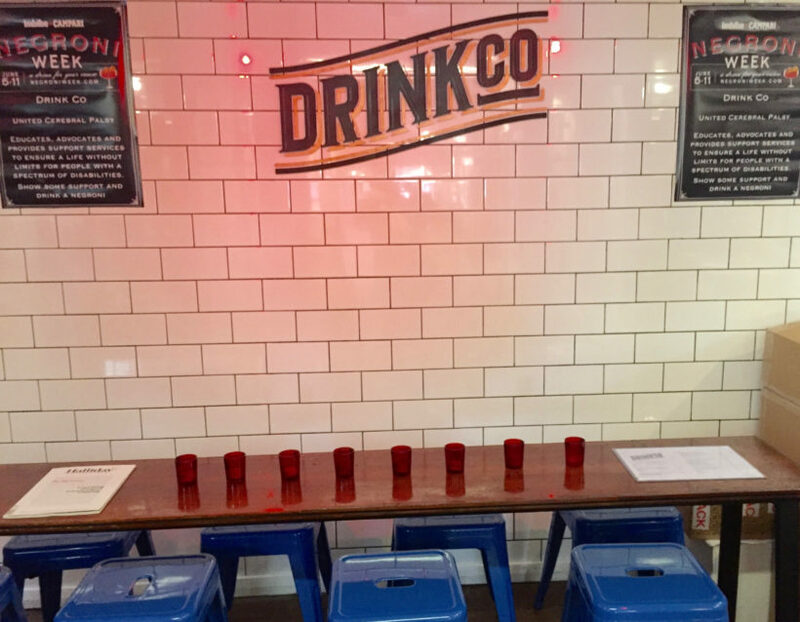 And, you can buy a bottle there, and sit and drink it at no extra charge. Win/win. PreviousPrevious post:Travel: Latrobe is like a Chinese puzzle box… fascinatingNextNext post:Travel: High tea? Looking for something special? It’s here.